1. Living below poverty line and middle class families have their own choice Good quality treatment from private and government affiliated hospitals is quite different Get free read official notification. Families living under poverty line and middle class families can get good quality treatment from their choice private and government affiliated hospitals totally free. 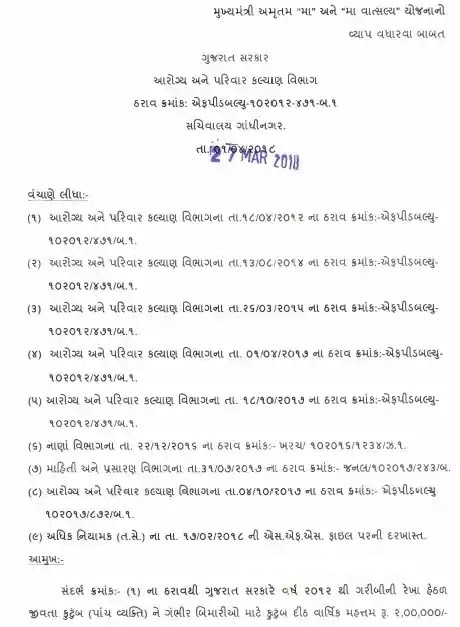 Required in the BPL list of rural household and rural development department as well as urban housing and urban development department of beneficiary family. Example of a family annual income of less than 1.20 lakhs or less. The scheme provides cashless treatment up to Rs 2 lakh per annum per family for a total of 544 procedures for serious diseases such as heart, kidney, severe infirm infant, severe injuries, brain and brain diseases. A total of 112 students connected with the beneficiary scheme, with a mother card, can take advantage of 68 private 19 government and 25 stand alone dialysis centers. Photo of every member of the beneficiary family, QR that includes biometric thumb mark. (Key Response) is given in the school. The Maa / Maa Vatsalya Yojana can be obtained from the 251 kiosks installed at Taluka level and 67 kiosks installed at the CT level. The card is verified by the Taluka Verifying Authority to get the beneficiaries of the beneficiary family to the thumb mark. State nodal cell has been formed. Process, Hospital Management, IEC As an Implementation Support Agency for Activities D. India Healthcare Network Pvt. Has been appointed. Under the scheme, it is necessary to have a Maa Maa Maa Vaasalya card. Treatment of the 44 cases prescribed for serious diseases under the scheme is available only from the associated hospitals. Click here for the formation of Complaint Redressal Committees under the Chief Minister, Amritam and Maa Vatsalya Yojna . Chief Minister Smt. 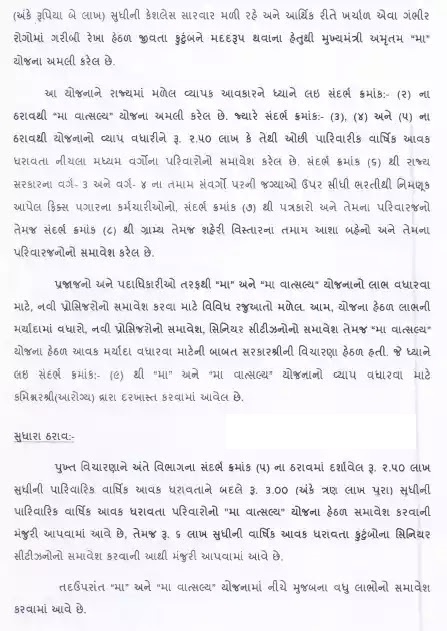 Anandiben Patel gave renewable support to 521 patients from the Chief Minister, Rahatnithi, for the treatment of kidney, cancer, heart and liver disease. 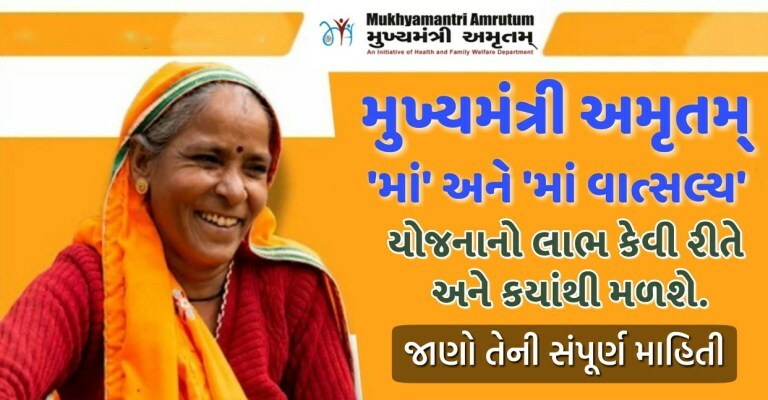 Since Mrs. Anandiben took over as the state's first woman Chief Minister in May-014, she has been giving special help from Chief Minister's Relief Fund with the touch of human empathy for the treatment of such serious diseases. The Chief Minister said this sensitized approach recently gave more than seven poor patients of such a disease Rs. 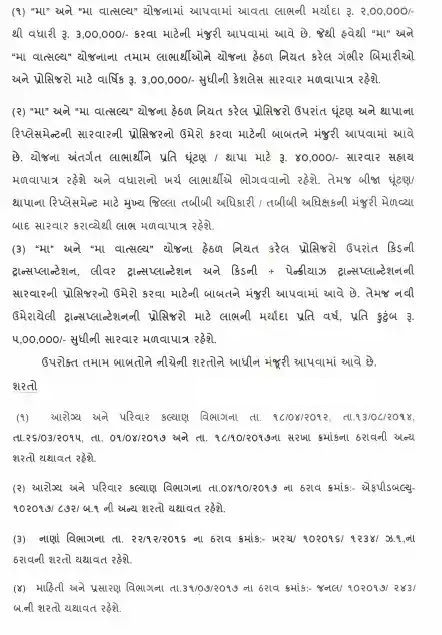 10.64 lakhs approved by the Chief Minister, Relief. The state government has also made a free arrangement for the diagnosis and diagnosis of severe disease with the services reaching the health of the people of the state. 1. Beneficiaries, Rural Home Building and Village Development Department as well as Urban HousingIncorporation required in BPL list of Bunamana and Urban Development Department. 1. Under the scheme, serious illnesses will go away, whether heart, kidney, cancer, newborn bishops Critical diseases, serious injuries, bansad and brain diseases, 544 Available cashless treatment of up to Rs 2 lakh per ward for every lac processor Are done. 2. With the card holder’s benefit, the number attached to the scheme is 112. 68 private 19 Government can take advantage of going to 25 Stand Alone Dialysis Centers. 3. Include the photo of each member of the beneficiary, including biometric accident. As well. I have been given some important information on the matter. 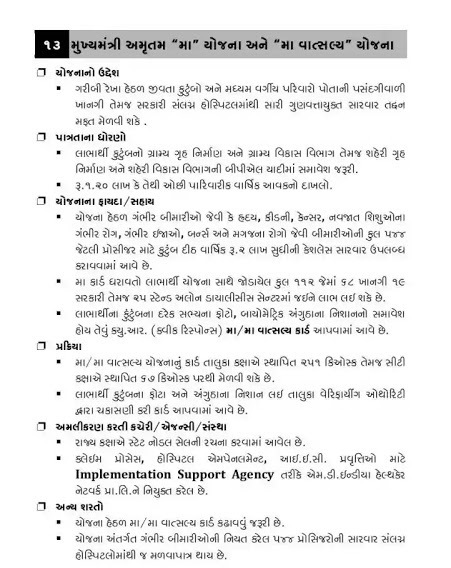 1. bucks and CTs set at card level in Ma Yojana Gujarat At the level of installed 67 bakosak can be obtained. 1. State nodal cell has been set up at the state level. 2. Trial Process, Hobb Hospital Management, IEC For activities MD India Healthcare as an Implementation Support Agency Network Pvt. Has been made. 1. Under the scheme, it is necessary to carry out a standard / intensive card. 2. The scheme deals with the treatment of 544 probabilites made of distressed diseases.Hospices are available only from.